10 Last-Minute Employee Appreciation Day Ideas! Employee Appreciation Day is March 1st this year. That dreaded calendar flip day when you realize you didn’t look ahead and now you’re not prepared AT ALL. Well, have no fear! Here are 10 great last-minute ideas that will delight and impress your team! via Baudville | 10 Last-Minute Employee Appreciation Day Ideas!. Winston Churchill once famously said: “However beautiful the strategy, you should occasionally look at the results.” Meaning however bright your ideas are, it’s their impact that actually matters. The more analytics we gather, the more we are able to build a culture of analytics to measure and optimize strategy. It’s a reciprocal relationship that is important in any organization. And in 2013 it will become critical to HR. via Measuring & Managing Culture with Big Data » Employee Engagement, Recognition and Reward Commentary | Globoforce Blog. You probably never want to think about divorce — but its a very real reality for some folks. If you’re putting time and effort to look at how life and finances will look once you join up with someone — its worth the same look if you are looking at splitting up. Its grim — but its something that I wanted to get out there for some of you — and for your peeps. This talks specifically about a divorce, but I know that now a days there are many people who are together in domestic partnerships or living arrangements that may want to take a look at parting ways and the what makes those situations different. So stay tuned! The secret: Forget the house, go for the pension. Retirement plans often go by the wayside when your marital status changes. Divorce or having a spouse die young saps income and assets, making it much harder to continue saving the same way you did as a married couple. A recent survey by ING found that the average divorced person had $10,000 less in retirement savings than the average married person, even though the divorced respondents were typically five years older. Women often find themselves especially pressed: Household income drops 41% for women after a divorce and 37% in widowhood, compared with under 25% in both cases for men, according to a report by the Government Accountability Office. Although family changes put a lot of immediate worries on your plate, it’s crucial to keep one eye on your long-term plan. via Rebuild your nest egg after divorce – Feb. 18, 2013. The link to the full article is below — and I have a quick recap for ya here on both sides of the story. From what you read below, what would YOU have done if you were the HR or Manager and this had happened in your business. What are some of the things that you consider and what would you have done? Twyla DeVito, an Ohio bartender, was shockingly fired after reporting a drunk driver to police. Devito thought she was doing the honorable thing when she called police during her shift as a bartender at the American Legion Post in Shelby, Ohio. However, her employers disagreed and she was allegedly fired for her goodwill efforts. I called the police and said we have a very drunk person leaving the bar. He is going to kill someone or himself. An article by 10TV News writes that Mic Hubbard, a commander of the post, believes DeVito made the correct decision morally, he disagrees with her actions on a business level. via Bartender Fired For Reporting Drunk Driver To Police. 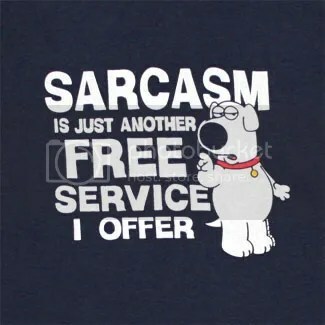 I am a big Seth MacFarlane fan (Brian from Family Guy –is probably one of my fav characters ever! and seriously the guy is wicked talented) — thought that this was a little fun to share — especially with the awards show coming up later this evening. The world’s biggest actors, actresses and Oscar nominees are a hard crowd to please and they don’t take personal stabs lightly, so MacFarlane will have to tread lightly. He’s encouraged to be funny, but he can’t afford to be offensive. MacFarlane is 39 years old and lives in Los Angeles, Calif. He attended the Rhode Island School of Design, where he studied animation. He named his production company “Fuzzy Door” because the door to his apartment when he attended Rhode Island School of Design was covered in fur. He began drawing cartoons at 2 years old and published his comic strip “Walter Crouton” in his hometown newspaper by the age of 8. He has three animated shows on Fox: “Family Guy,” “American Dad,” and “The Cleveland Show.” Those, together with his big-screen summer hit “Ted,” make him worth an estimated 36 million. He voices three of the main characters on “Family Guy”: Peter Griffin, Stewie Griffin and the dog, Brian. In “Ted,” he is the voice of Ted, the foulmouthed, bong-hitting teddy bear, opposite Mark Wahlberg and Mila Kunis. He was nominated for a Grammy in 2011 for a solo album that has him singing ’40s and ’50s American classics, and he won two Emmys, one in 2000 and the second in 2002. He took vocal lessons from Lee and Sally Sweetland, who trained Barbra Streisand and Frank Sinatra. He is a gifted pianist. His Twitter account is less funny than you would expect. He has 3.6 million followers, retweets often, and updates it almost every day. He hosted the first “Saturday Night Live” of the current season on Sept. 15, 2012. He was scheduled to be on one of the hijacked planes of 9/11 (American Airlines Flight 11, which crashed into the World Trade Center North Tower) but missed the flight. His travel agent, who gave him the wrong boarding time, effectively saved his life. He used the word “erection” in one Oscar promo. ABC refused to air it but it appeared online and ESPN ran it. Previous Academy Awards hosts that inspire him and from whom he’ll try to take cue are Billy Crystal, Johnny Carson and Bob Hope. MacFarlane also thinks that next year, Tiny Fey and Amy Poehler will host the awards ceremony. His post-Oscars project is rumored to be another big screen film, this time a Western starring Charlize Theron, Amanda Seyfried and MacFarlane himself. 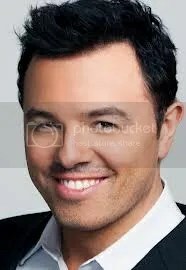 via Who Is Seth MacFarlane? 17 Things You Need To Know About Sunday’s Academy Awards Host. via 14 Things Successful People Do On Weekends – Forbes. Its SUNDAY– the weekend is almost to a close — how many of these things did you do (or plan to do) during your weekend? Its important to connect with things outside of your regular workweek — believe me — I’m talking to myself just as much as I talk to you — I have trouble getting some great downtime in during the weekend — its one of my focuses for 2013. 1. Be semi-obnoxious: The Grammys did what I say to anyone trying to promote their use of social media: be semi-obnoxious, telling people what your hashtags and handles are, and what platforms you are on. You can’t be shy about it. You need to, more than once, tell them how and where to follow you. For a conference, be sure to print the hashtags and handles on the official program and even the invitation, if possible. 2. Tell your audience what they will get for following you on social media: On at least four occasions, host LL Cool J @llcoolj was on camera talking up the night’s official hashtag — #grammys — and reminding viewers to tweet to the official handle. He also told the audience that he and @TheGrammys were posting behind-the-scenes photos and other exclusive content on Twitter. 3. Let people know you are listening: Just as importantly, he appeared to read select tweets on the air, giving the impression that he — or at least some on the Grammys social media team — was browsing the tweets. Letting it be known that there’s someone reading tweets is a great way to trigger more tweets. At a conference, the emcee or moderator can read out selected tweets. 4. Spell it out: Before going to some of the commercial breaks, there were promos for social media channels, as you can see from this Tout video of the broadcast, urging people to look at Grammy.com as well as Twitter.com/thegrammys, Facebook.com/thegrammys and GetGlue.com/thegrammys:At a conference you can remind the audience, from the podium, what the handles and hashtags are and, during breaks, run a tweet wall on the main screen. You can use VisibleTweets or Tweetbeam to run tweets, but best to do it only during breaks so that the audience isn’t distracted as the tweets rush by behind the speakers. 5. Be active on social media during your event: The various Grammy platforms were active throughout the broadcast. At a conference, it’s important to have active official accounts to direct, guide, and enhance the conversation, so you aren’t just relying on attendee participation.The official Grammys account tweets about the Bob Marley tribute by Sting, Bruno Mars and some of the Marley children.A promo poster for The Grammys featuring Rihanna. 6. Think about social media long before the event: The Grammys were promoting the ceremony on various platforms and not waiting for the last minute. Even the playful “#The World is Listening” campaign of posters featuring Rihanna, Linkin Park, Taylor Swift, and others hinted at the social aspects of the show. Thankfully, the producers didn’t actually use what would have been the world’s worst hashtag. For a conference, think about adding the handles and hashtag to the invitations, reminder e-mails, etc. 7. Use social media to help the viewer keep up: On every awards show, it’s hard to keep straight who’s on stage. Between the introducers of the performers to the performers to the winners, it’s easy to lose track of who you are watching at any moment. And even if you know who is on stage, trying to tweet about him or her often means having to look up the person’s Twitter handle. This is the one area where future Grammys shows could use some improvement. While the Grammys tweeted about who was on stage, the on-air titles could easily have shown some of the relevant handles, thus helping viewers stay on top of things — especially for people like me who don’t keep up with popular music.At conferences, make sure the slides announcing a panel or keynote have the relevant handles on them. Or have the moderator or emcee mention ways in which attendees can connect with the speakers, and do it multiple times. Another idea: Every nametag should have printed on it the conference’s hashtag and the attendee’s Twitter handle, if available. via 7 social media lessons from the Grammys for organizers of other events | SreeTips – CNET News.